This Reina Valera Bible has been carefully made by believers for believers willing to have a closer relationship with our LORD Jesus Christ, studying His words. - Listen to the Reina Valera Old Testament and New Testament with Reverend Samuel Montoya. - Many available text fonts for easy reading. - Write your own notes using our Text Editor. - Day reading mode and night reading mode. - Change the text spacing and size. - Fast pinch to zoom the text. - Change the screen brightness. - Justify the text to left, right or center. - Reading mode and study mode. - Fast access to cross references . - Bookmark any verse easily. - Share Bible verses on Facebook. 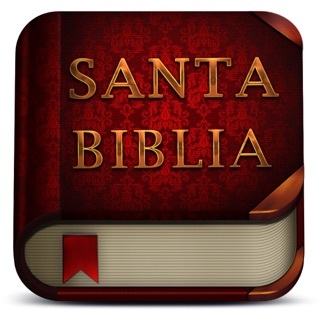 - Fast and feature rich Bible search. - Auto-scrolling with adjustable speed. - Automatically sync your notes on iCloud. Robert Jamieson, A. R. Fausset and David Brown Commentary Critical and Explanatory on the whole Bible, 1871. 1) Albert Barnes (1798-1870) Notes on the whole Bible. 2) Adam Clarke's Commentary and critical notes on the whole Bible, written from 1810 to 1825. 3) John Nelson Darby Bible translation notes and Synopsis on the whole Bible. 4) Robert Jamieson, A. R. Fausset and David Brown Commentary Critical and Explanatory on the whole Bible, 1871. 5) John Gill's verse-by-verse Exposition of whole the Bible. 7) Philip Schaff Commentary on the New Testament (4 Volumes) and Introduction to all books, 1890. 8) Scofield Reference Notes on the whole Bible, 1917 Edition. 9) Treasury of David by C. H. Spurgeon, the "Prince of Preachers" with comments on the 150 Psalms. 10) Treasury of Scriptural Knowledge on the whole Bible, compiled by John Canne, John Browne, Thomas Scott, Benjamin Blayney, Reuben Archer Torrey and others (1900). The power of the Scriptures is necessary for your spiritual growth, and that's why we've carefully designed the best app for the iPhone, iPod and iPad so you can search the scriptures daily (Acts 17:11). Learn from God's chosen way to speak directly with you, and every word is very important (Matthew 4:4). As you study the Bible you can highlight the text with many colors to learn what our Lord and Savior Jesus Christ is teaching you. Take notes using the Rich Text Editor, because All scripture is given by inspiration of God, and is profitable for doctrine, for reproof, for correction, for instruction in righteousness (2 Timothy 3:16). Thank you for downloading the Reina Valera Study Bible! I really like this bible, language is just perfect very easy to understand. I have downloaded other bibles but end up deleting them because some of them are just not user friendly or language is too difficult to understand. Very happy ! !